This quarter's Briefing will focus on the key issues and queries that WA business people have asked our busy Employee Relations Advice Centre recently, plus a valuable update on the national review of the Work Health & Safety and Workers Compensation Policy. Our highly experienced expert team will share their best practice knowledge, insights and advice on the contemporary topics below. This is a great opportunity to ask any questions you have and network with other HR/IR people in Perth. Tea/coffee and morning tea is included. First national review of the model WHS laws concluded - so what's changing? 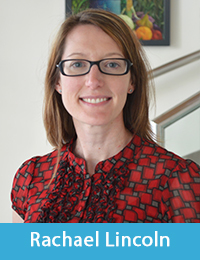 Jennifer Low - Associate Director, Work Health & Safety and Workers Compensation Policy. Australian Chamber of Commerce and Industry. In 2018, Safe Work Australia was tasked with conducting a review of the content and operation model of the Work Health and Safety laws. This was the first review of the 'harmonisation' package since its creation in 2011. Safe Work Australia appointed Marie Boland as the independent reviewer. The review was completed in December 2018 and Ms Boland's report has been provided to WHS Ministers for their consideration. The report is expected to be publicly released in early 2019. The Australian Chamber is a member of Safe Work Australia and has been actively involved in facilitating feedback to the reviewer and participating as the employer representative on an advisory group. Jennifer Low, Associate Director WHS Policy, will be discussing the key themes of the review, the final recommendations and what next. Rachael Lincoln - Senior Consultant, Safety and Risk Services, Workplace Consulting. CCIWA. In this session, Rachael will refresh the importance of conducting incident investigations, the preparation required before an incident occurs in anticipation of an investigation being required, and an overview of the steps following the incident. There's been an incident - what do I do? Is it that important to investigate accidents? We have an incident form, is that enough? My manager says doing an investigation takes too long. How do I convince them that they are important? 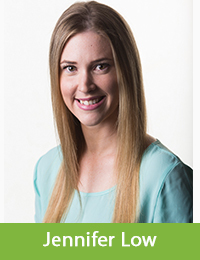 Erin Verzandvoort - Employee Relations Adviser at our Employee Relations Advice Centre. CCIWA. 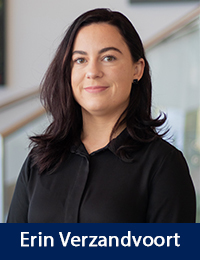 Erin will help you navigate the performance management process, including recognising employer liability and creating procedural foundations for risk minimisation. Performance management, when done well, can result in positive improvements in both employee and company performance. However, an employer can open themselves up to various risks if the process is not handled correctly. Throughout this presentation, discussions will surround these various employer risks, strategies to avoid these risks and recent case law. What are the risks if we don't performance manage appropriately? Do we have to issue three warnings before terminating an employee? How much notice do you need to give an employee before you can hold a performance meeting? Can we discipline an employee without meeting with them? What do we do if an employee refuses to engage in the performance manager process?